Minacciolo participated in the “Cevisama” fair, an important event for the ceramic industry applied to architecture and interior design, which was held in Valencia from 28 January to 1 February 2019. 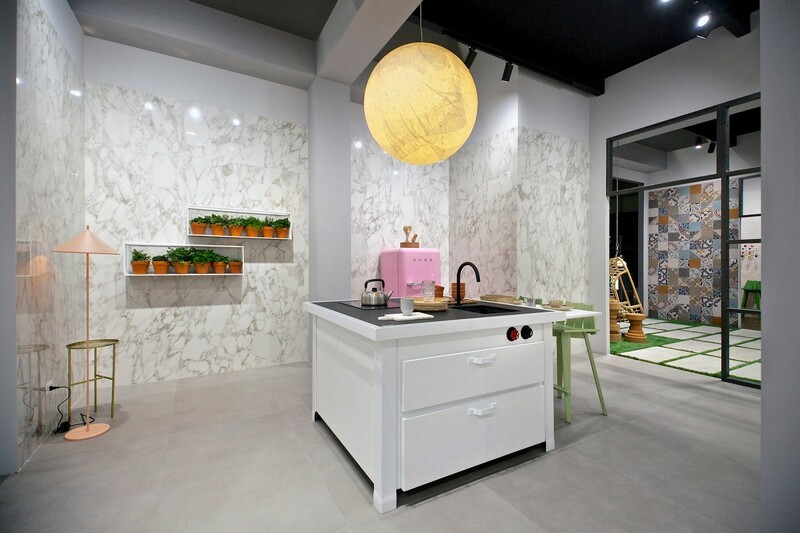 In collaboration with Marazzi Group, an international leader in the design, production and marketing of ceramic and stoneware tiles, the Minà kitchen was presented in the “mini” version. As often happens to repeat to customers who are interested in Minà, stealing a phrase advertising for diamonds, Minà is a kitchen forever. If you are looking for something that goes beyond the schemes that is particular and that anyway represents the made in Italy, Minà is the solution for you. A kitchen, especially on the island, which distinguishes its uniqueness, suitable for different houses, different ambiante and spaces, you can easily insert a country house, with a beautiful tiled floor, in an industrial context as in a an industrial archeology building with concrete resin floors, or a metropolitan loft with its immense windows and city lights that become the backdrop. A project that, combined with the context, has a thousand possibilities for development, always giving a material and personality strength to the environment in which it is inserted. Gallery09 is Minacciolo retailer and from us you will find two solutions of Minà one on display and another one in a house that we use as an inhabited show room. We are organized to ship mount all over the world.